In Adajusa.COM we offer a wide range of thermal protection thermal relays that act against overloads, high start times and prolonged blockage of motors in three-phase alternating current circuits. In addition, each available thermal relay incorporates test and stop buttons, manual / automatic service reset mode and mechanical disconnect indicator. A thermal relay has, as standard, auxiliary contacts that improve its operation and increase its safety. These auxiliary contacts are: 1 open (NO) and 1 closed (NC). 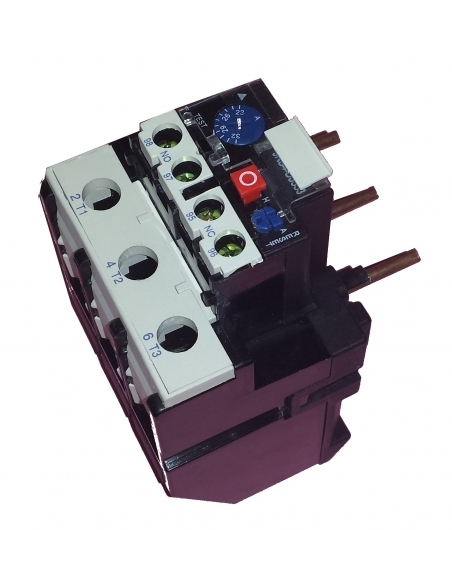 The mounting of these relays can be carried out directly on the contactor or on DIN rail by means of an adapter. All our relays comply with IEC 60947-4, GB 14048, EN 60947-4, UL508. Thermal protection thermal relays that act against overloads, high start times and prolonged blockage of motors in three-phase alternating current circuits. In addition, each available thermal relay incorporates test and stop buttons, manual / automatic service reset mode and mechanical disconnect indicator. 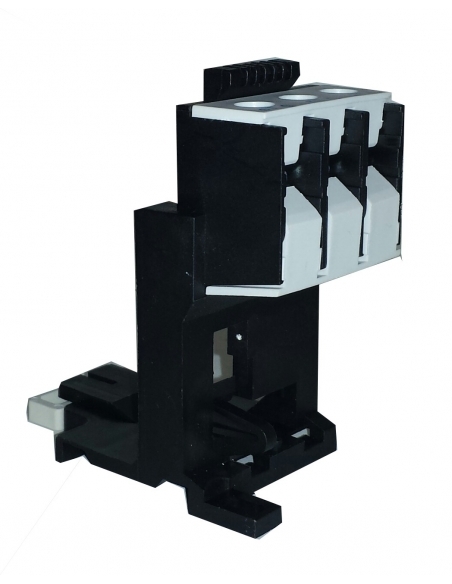 The mounting of these relays can be carried out directly on the contactor or on DIN rail by means of an adapter. 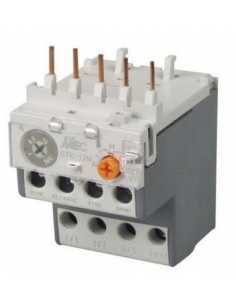 All our relays comply with IEC 60947-4, GB 14048, EN 60947-4, UL508. 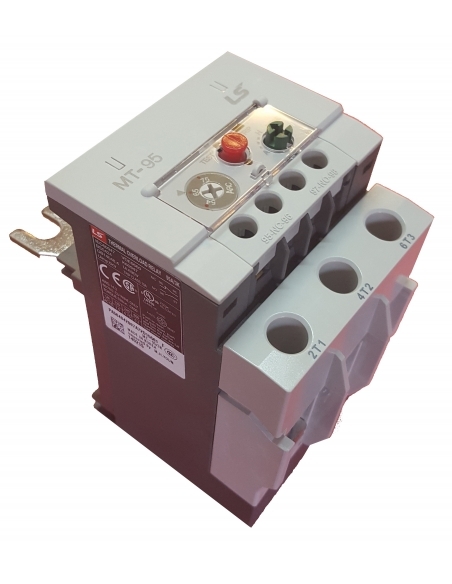 Motor protection thermal overload relays brand LG - LS Industrial System. 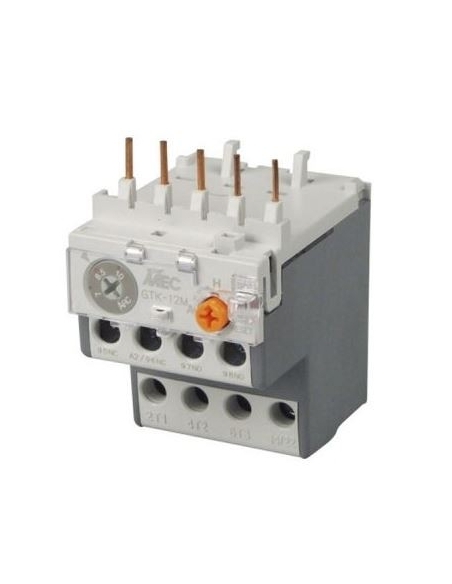 Direct mounting on contactors of 9 to 800A gauge or on DIN rail through the use of the corresponding support. Motor protection mini thermal overload relays brand LG - LSis. mini thermal protection thermal relays that act against overloads, high start times and prolonged blockage of motors in three-phase alternating current circuits. In addition, each available mini thermal relay incorporates test and stop buttons, manual / automatic service reset mode and mechanical disconnect indicator. Direct mounting on contactors of 9 to 16A gauge or on DIN rail through the use of the corresponding support. Accessories for thermal overload relay assemblies. Relé térmico trifásico para minicontactor, ofrece protección por sobrecarga de motores eléctricos. La regulación del relé térmico está comprendida entre 9A a 13A. Referencia: GTK-12M 11A 3H. Relé térmico trifásico para minicontactor, ofrece protección por sobrecarga de motores eléctricos. La regulación del relé térmico está comprendida entre 12A a 16A. Referencia: GTK-12M 14A 3H.